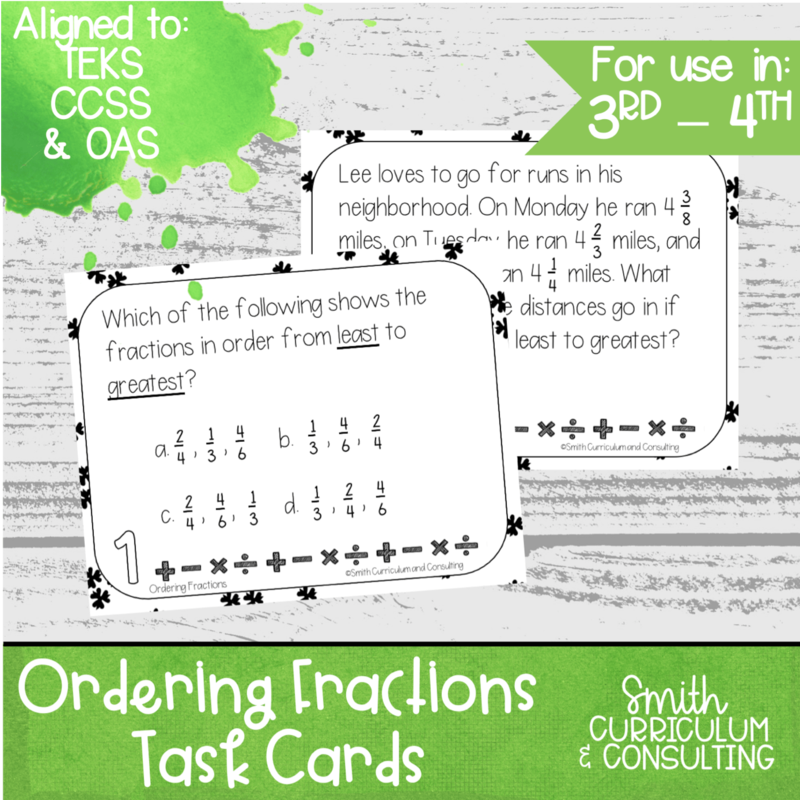 This set of task cards breaks down ordering fractions least to greatest and greatest to least with a variety of questions involving fractions. 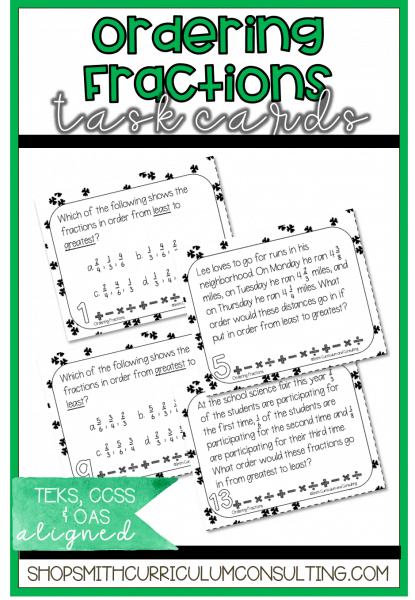 Students continue to develop skills with fractions when they move into Ordering Fractions. 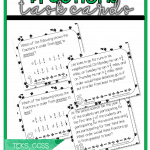 With this set of task cards, students are able to order fraction from greatest to least as well as least to greatest in in real-life situation in a variety of different methods. 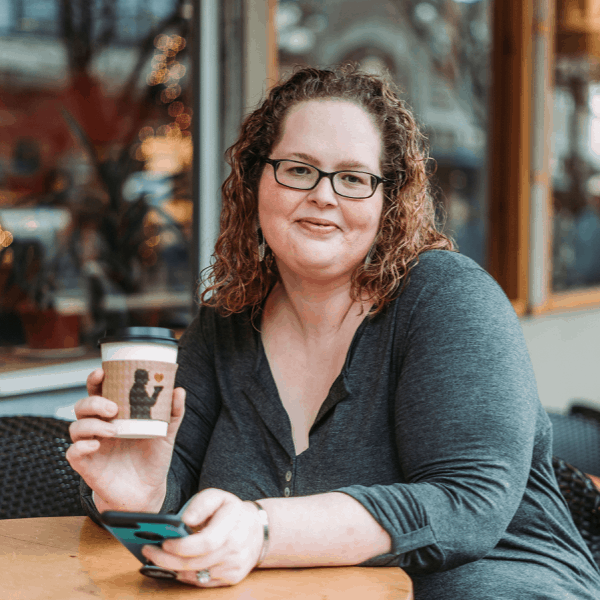 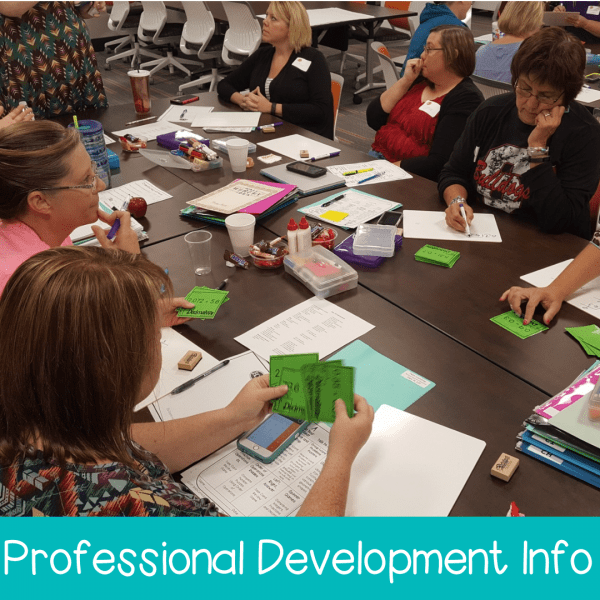 All activities are aligned to 4th Grade Common Core (CCSS), 4th and 6th Grade Texas Essential Knowledge and Skills (TEKS) and 3rd Grade Oklahoma Academic Standards (OAS) and meant to be able to be used in any 4rd or 4th grade classroom. 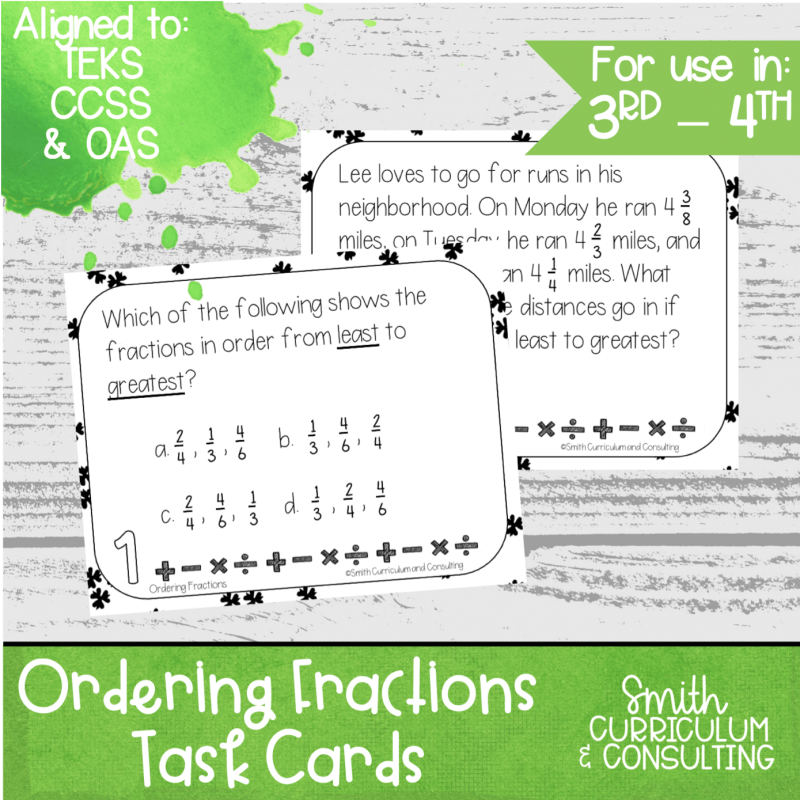 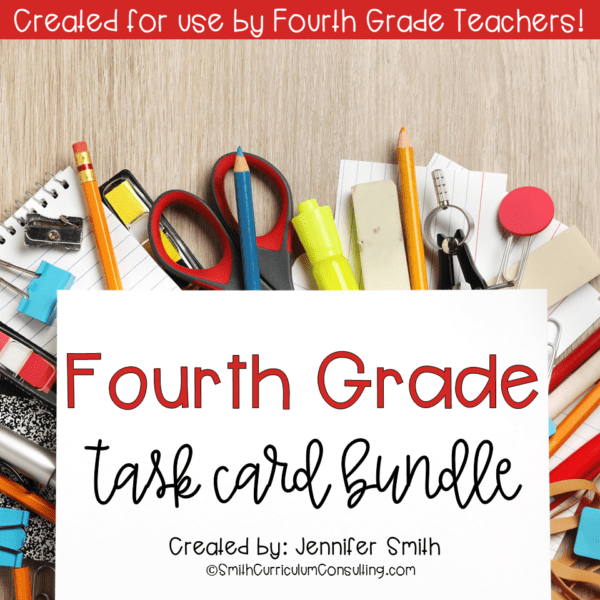 This set of task cards has been included in my Fourth Grade Task Card Bundle.